Fascinated by wonder — how do we create experiences of awe and mental silence by breaking the expectations of human perception? Visit Wonder Machines to enjoy your own piece of wonder, or see my large-scale commissions below. Slow Dance is a picture frame that makes things appear to move in slow motion. The story of the search for patterns, and the surprising results that come by changing our point of view. 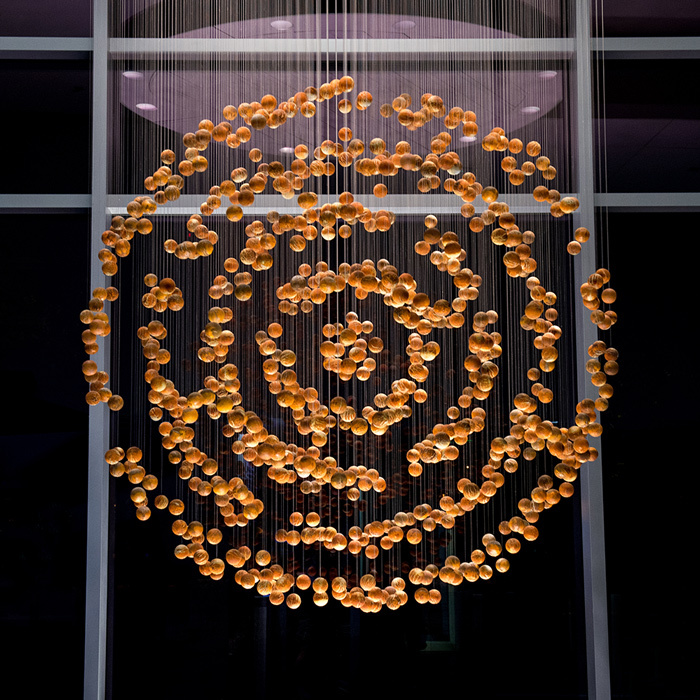 The sculpture celebrates the beauty of individuals working together in harmony, moving as a single entity, creating something greater than the sum of their parts. Patterned by Nature celebrates our abstraction of nature's infinite complexity into patterns through the scientific process, and through our perceptions. The sculpture is a metaphor for how we exchange knowledge, how synthesis of different fields widens our perspective, and how investigation deepens our understanding of the reality in which we live.